Help Tusla, if requested, in assessing a concern which has been the subject of a mandated report. Mandated persons include professionals working with children in the education, health, justice, youth and childcare sectors. Foster carers are also classified as mandated persons. A full list of mandated persons is available here. 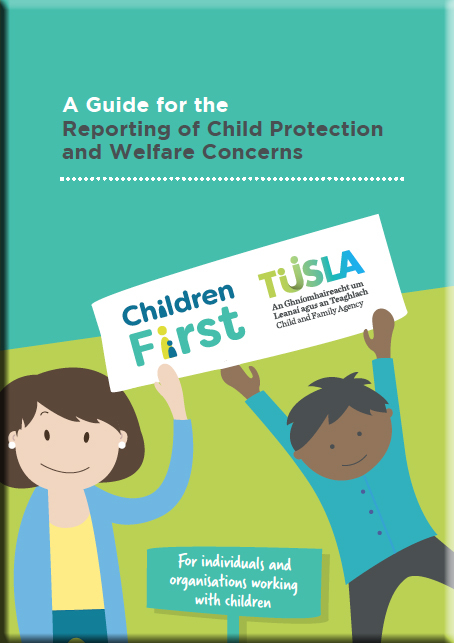 This Guide will help you when considering reporting a child protection or welfare concern to Tusla. It outlines the Children First principles of practice and the importance of working together to protect children. Guidance is given on when and how to report a child protection or welfare concern to Tusla. Information is provided on how Tusla will respond to your report and on related issues, such as feedback to you as the reporter and record-keeping. Finally, it provides information on Tusla’s out-of-hours service, child protection and welfare training, and our complaints procedure. The Guide should be read along with Children First: National Guidance for the Protection and Welfare of Children. Best practice principles in the delivery and evaluation of training programmes. The programme is available to members of the public and organisations working with children and families and can be completed in approximately 90 minutes. Click here to access the e-learning. The Children First Act 2015 requires organisations that are providers of ‘relevant services’ to prepare a Child Safeguarding Statement. This is a written statement that specifies the service being provided and the principles and procedures to be observed to ensure, as far as practicable, that a child availing of the service is safe from harm. It also includes an assessment of risk of harm to a child while availing of your service and specifies the procedures in place to manage any identified risks. 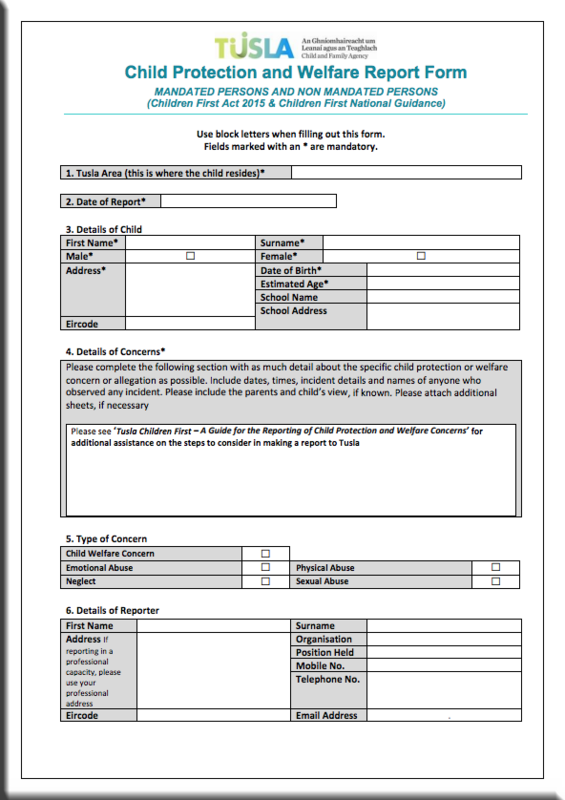 This Guidance provides information for organisations required to develop a Child Safeguarding Statement, including an example template Child Safeguarding Statement. A full list of 'relevant services' is available here. The Children First Act 2015 imposes a legal obligation on certain people called ‘mandated persons’ to report child protection concerns above a defined threshold to Tusla. Mandated persons are people who have ongoing contact with children and/or families and who, because of their qualifications, training and experience, are in a key position to protect children from harm. Mandated persons can also be mandated to assist Tusla in their assessment of child protection and welfare concerns about children who have been the subject of a mandated report. 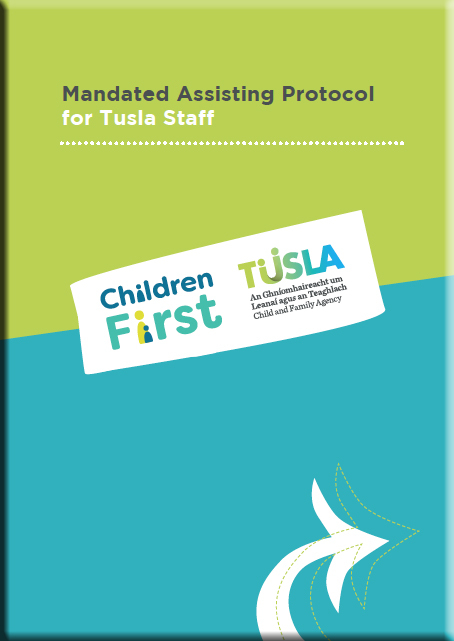 Mandated assistance is the provision of verbal or written information or reports; attendance at any meeting arranged by Tusla in connection with an assessment of a child, e.g. a Strategy Meeting or a Child Protection Conference; and/or the production to Tusla of any document or thing. A request for mandated assistance will only be made if it is judged to be in the best interests of the child; if the request is necessary and proportionate; and if it is believed that the mandated person is in a position to assist Tusla’s assessment of the concern. 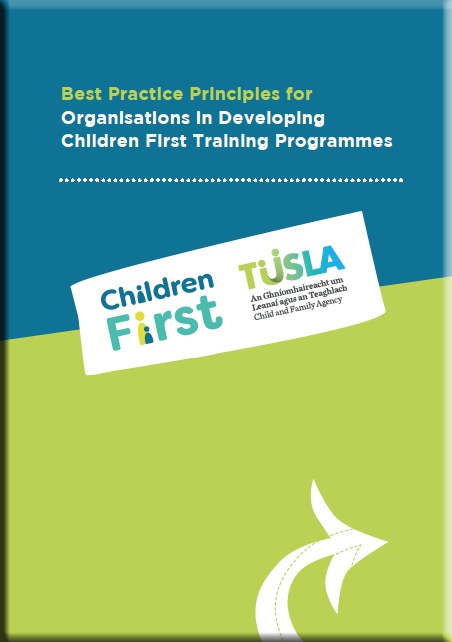 The protocol sets out Tusla's internal processes for formally requesting assistance and for dealing with a refusal to assist or a failure to engage. A full list of mandated persons is available here. 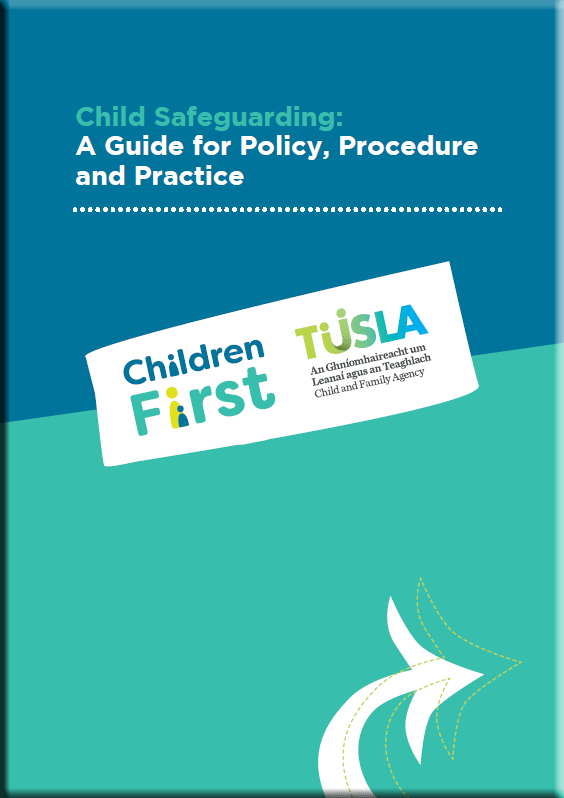 Tusla's Child Safeguarding: A Guide for Policy, Procedure and Practice can assist you when developing a Child Safeguarding Statement. It is a best practice guide designed to help all providers of services to children and families to develop guiding principles and safeguarding procedures to keep children and young people using their services safe from harm. Tusla has two forms for reporting child protection and welfare concerns – the Child Protection and Welfare Report Form (CPWRF) and the Retrospective Abuse Report Form (RARF). The Child Protection and Welfare Report Form is to be completed and submitted to Tusla for concerns about children under the age of 18. The Retrospective Abuse Report Form is to be completed and submitted to Tusla for cases of adults disclosing childhood abuse.